The photo above shows the 18k gold lock. 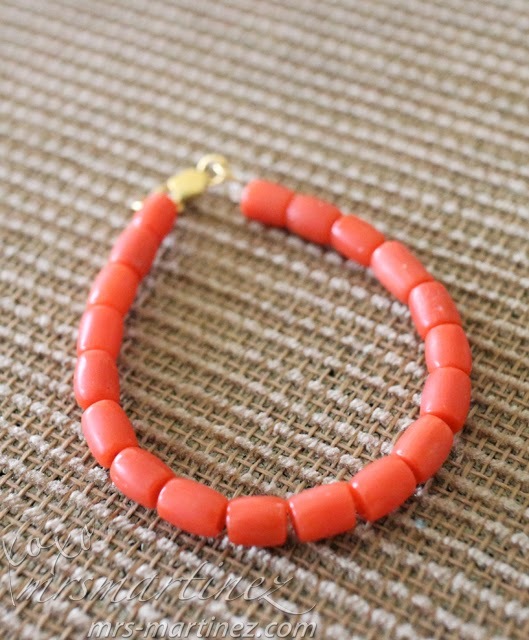 The number of coral is around 19 pieces. It is said that the color or redness may change depending on the health of the wearer. Lighter if you are sick and red if you are healthy. And if you buy a real coral, it gets smaller in time. 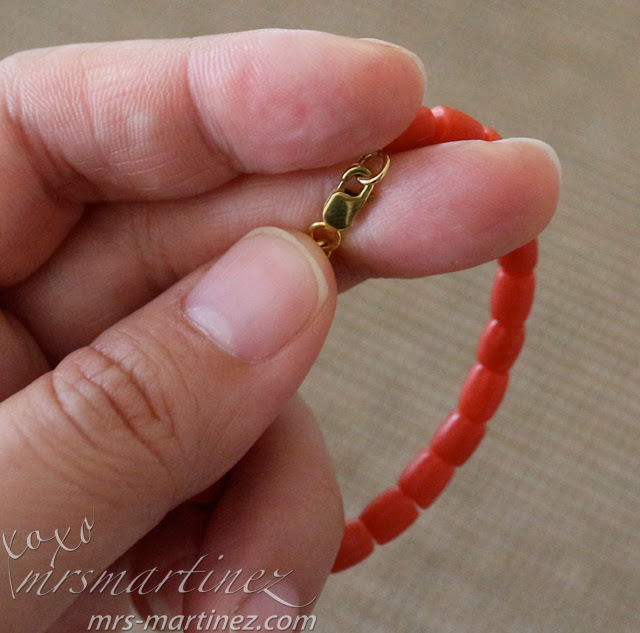 Here is a good read on how to spot a fake coral bracelet and its benefits. Here's another helpful website I found on how to properly care your coral jewelry. With some money left, my family and I went to Golden Fortune Seafood Restaurant for lunch! MrsMartinez's Raves and Rants is a lifestyle blog of a mom who loves food, beauty, shopping, travel and more!